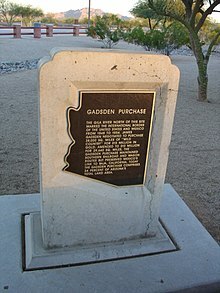 The Gadsden Purchase, known in Mexico as Spanish: Venta de La Mesilla (Sale of La Mesilla),  is a 29,670-square-mile (76,800 km2) region of present-day southern Arizona and southwestern New Mexico that the United States acquired from Mexico by the Treaty of Mesilla, which took effect on June 8, 1854. The purchase included lands south of the Gila River and west of the Rio Grande which the U.S. needed to build a transcontinental railroad along a deep southern route, which the Southern Pacific Railroad later completed in 1881–1883. The purchase also aimed to resolve other border issues. The first draft was signed on December 30, 1853, by James Gadsden, U.S. ambassador to Mexico, and by Antonio López de Santa Anna, president of Mexico. The U.S. Senate voted in favor of ratifying it with amendments on April 25, 1854, and then transmitted it to President Franklin Pierce. Mexico's government and its General Congress or Congress of the Union took final approval action on June 8, 1854, when the treaty took effect. The purchase was the last substantial territorial acquisition in the contiguous United States, and defined the Mexico–United States border. In Mexico, topographical officer George W. Hughes reported to Secretary of State John M. Clayton that a railroad across the isthmus was a "feasible and practical" idea. 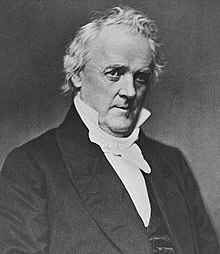 Clayton then instructed Robert P. Letcher, the minister to Mexico, to negotiate a treaty to protect Hargous' rights. The United States' proposal gave Mexicans a 20% discount on shipping, guaranteed Mexican rights in the zone, allowed the United States to send in military if necessary, and gave the United States most-favored-nation status for Mexican cargo fees. This treaty, however, was never finalized. a reduction of the territory to be acquired by 9,000 square miles (23,000 km2) to the final size of 29,670-square-mile (76,800 km2), and dropping the price to $10 million (equivalent to $230 million in 2018 ) from $15 million ($340 million ). 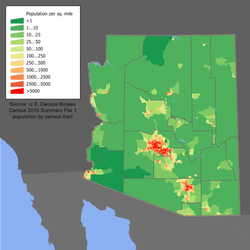 The residents of the area gained full US citizenship and slowly assimilated into American life over the next half-century. The principal threat to the peace and security of settlers and travelers in the area was raids by Apache Indians. The US Army took control of the purchase lands in 1854 but not until 1856 were troops stationed in the troubled region. In June 1857 it established Fort Buchanan south of the Gila at the head of the Sonoita Creek Valley. The fort protected the area until it was evacuated and destroyed in July 1861. The new stability brought miners and ranchers. By the late 1850s mining camps and military posts had not only transformed the Arizona countryside; they had also generated new trade linkages to the state of Sonora, Mexico. Magdalena, Sonora, became a supply center for Tubac; wheat from nearby Cucurpe fed the troops at Fort Buchanan; and the town of Santa Cruz sustained the Mowry mines, just miles to the north. 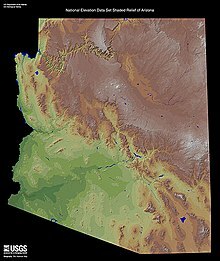 The portion of the Southern Pacific in Arizona was originally largely in the Gadsden Purchase but the western part was later rerouted north of the Gila River to serve the city of Phoenix (as part of the agreement in purchasing the EP&SW). The portion in New Mexico runs largely through the territory that had been disputed between Mexico and the United States after the Treaty of Guadalupe Hidalgo had gone into effect, and before the time of the Gadsden Purchase. The Santa Fe Railroad Company also completed a railroad across Northern Arizona, via Holbrook, Winslow, Flagstaff and Kingman in August 1883. These two transcontinental railroads, the Southern Pacific (now part of the Union Pacific Railroad) and the Santa Fe (now part of the BNSF), are among the busiest rail lines in the United States.